How to eat guava fruits – Guava is a healthy fruit with complete nutrition. Usually this fruit is consumed in the form of fresh juice. However, you do not just lust in this way alone. Eat ripe guavas or raw guava can be done in various ways including as a healthy snack. Beside eat its flash, we also can eat the seeds but carefully. Eating guava fruits as a snack will provide your own pleasure if you know how to do. 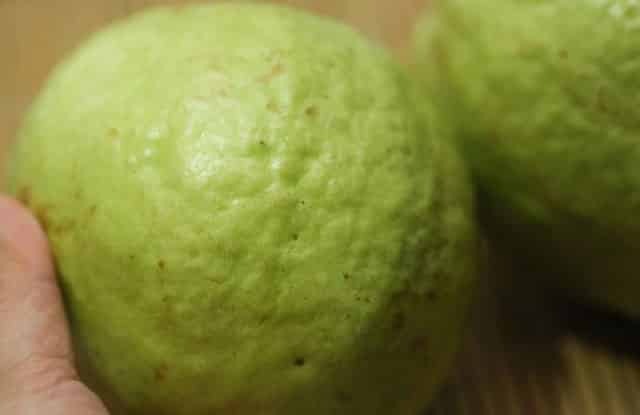 So, in this article we will give you 8 steps to eat guava ranging from how to choose the perfect guava fruit on the tree, prepare it and how to eat. 1. In order for you to enjoy a delicious and perfect guava, choose guava that has a soft skin. Look at the guava that is large with whitish green skin color or yellow. This indicates that the guava fruits is ready to pick from the tree. If you buy from the fruit market, press it gently, if you feel your finger coming in, it’s a ripe and tasty for eating. 2. Choose a clean guava and free of black or brown spots. This spot can be a sign that the guava is bad on the inside. 3. See guava color. 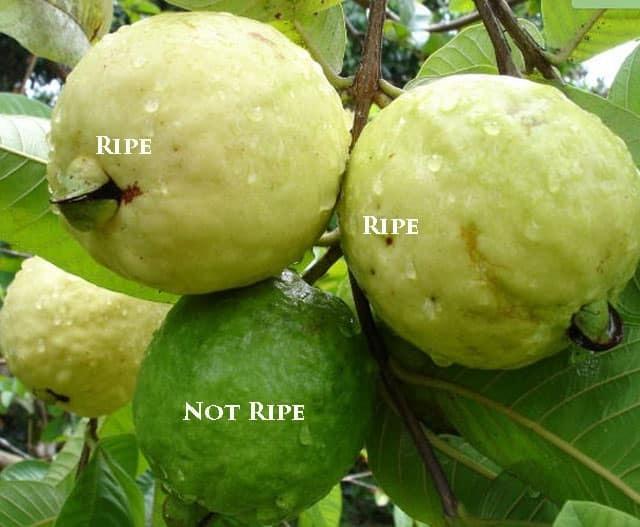 As we mentioned above, ripe guava is a yellow guava. It has a skin color that has changed from green to slightly white or yellow. But if you do not find a yellow guava, grab a raw guava and the skin is soft, you can wait a few days to ripe it. Notice the smell of guava. The mature guava will smell like taste. You can smell to see if the guava has smell or not. However, if the guava is really ripe, it will smell even if you not kiss it. 5. 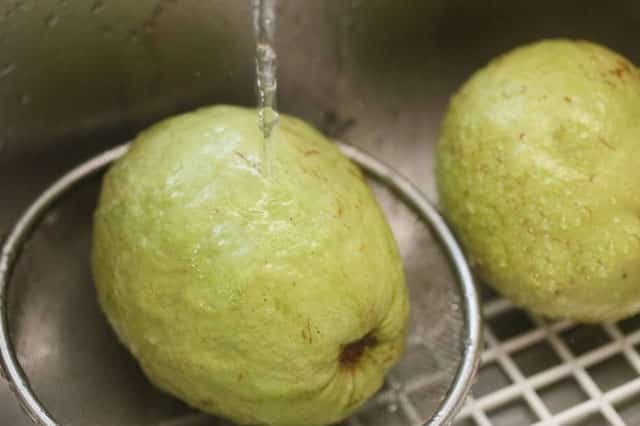 Next, how to eat guava is clean it or wash it with clean running water. It aims to free guava from any possible bacteria. Put the guava on the board. Then cut into two parts using a clean and sharp knife. Serrated blades can give better results. Guava usually there are two types, some are pink (red guava) and some are white. Guava is the best and tasty and has a huge health benefits. After splitting into two, you can slice some more parts for easy to eat. 7. Eat your guava. You can consume everything (skin and fruit flesh) or by peeling the outer skin and consuming only the inside. Some people like to eat with soy sauce, salt, sugar or by using vinegar. 8. Save guava that you do not eat. Insert it into plastic and keep it in the refrigerator, it lasts 4 days. If you want to eat the seeds, i think you have to chew it well. 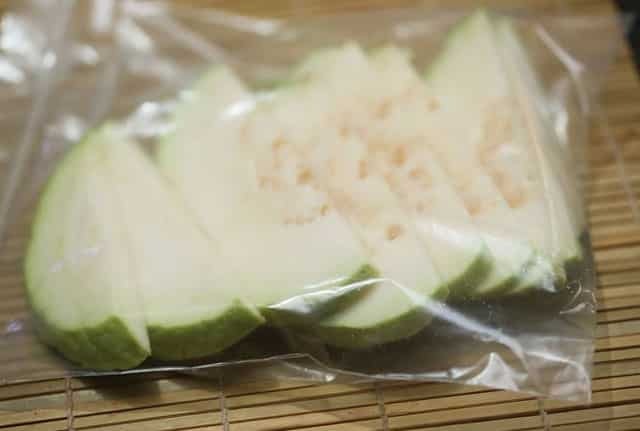 For keeping it in a longer time, use a freezer to freeze guava. Guava in the freeze can last up to 8 months. Is it okay to eat guava along its seeds? does this cause appendix? We often hear in the layman, but this is not all true. Usually guava seeds after we eat will come out again through the feces. So, consuming guava seeds also good for health, but it should be chewed well. That’s how to eat guava with simple and delicious using soy sauce or not. Eating guava seed or flash will provide great health benefits, both green or yellow guava. In addition to delicious, guava fruits also good for getting rid bacteria and viruses.